This is my first product that I have purchased from Aura University (David Tian's life coaching company). I have always had inner game issues due to coming from a traditional Asian family and being brought up in a Western country. My identity was always ambiguous and I never really felt comfortable in either my parent's culture or the western culture I was brought up in. I often would identify myself as a person between 2 cultures. Consequently, this has effected my psychological state and this has created a negative outlook to life. I hit probably my lowest point this year, when I lost my high flying job and went through an emotional impactful experience with a women I briefly had a fling with. It took me months to begin to rebuild my life again and during that time I realised that recurring patterns of thoughts/behaviours have contributed in many of my experiences. I started to search on google and came upon the datingskillsreview.com website. After reading the review on invincible I decided to purchase the product. I currently going through the product and there has been many aha moments. When he talks about the elephant and rider as an analogy to our conscious mind and unconscious mind and how we need to train our elephant to really transform, really blow my mind. I especially reasonate with David Tian as he has a similar backstory as I do i.e an Asian man growing up in a Western country. One thing that it requires is a lot of writing and reflecting. I'm not naturally a writer but have committed myself to following through all the exercises. 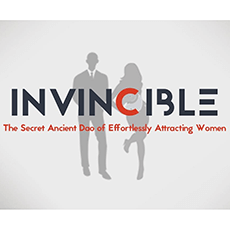 I would recommend this product for those who want to transform their inner life's and have a strong foundation to developing their attraction skills.